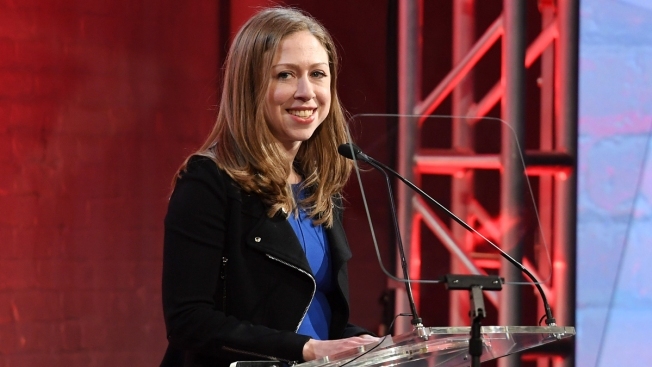 Chelsea Clinton speaks at the GMHC 35th anniversary spring gala on March 23, 2017, in New York City. She expecting her third child. Chelsea Clinton revealed Tuesday she's expecting her third child with husband Marc Mezvinsky. The couple have a 4-year-old daughter, Charlotte, and a 2-year-old son, Aidan. They married in 2010.